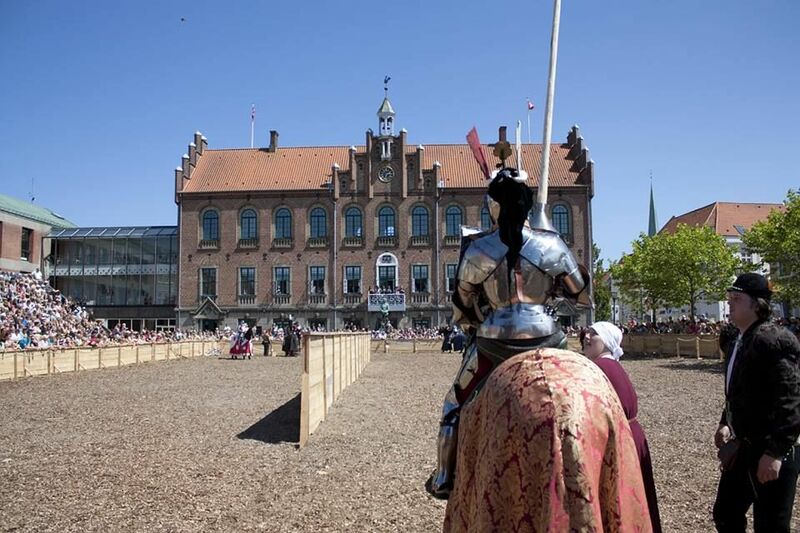 On July 6 & 7, 2013, at the historical castle of Nyborg Slot in Denmark, a group of accomplished international jousters who belong to or are associated with the Foundation Historical Education Initiative(HEI) recreated an historical jousting tournament as part of the annual Danehof Market. 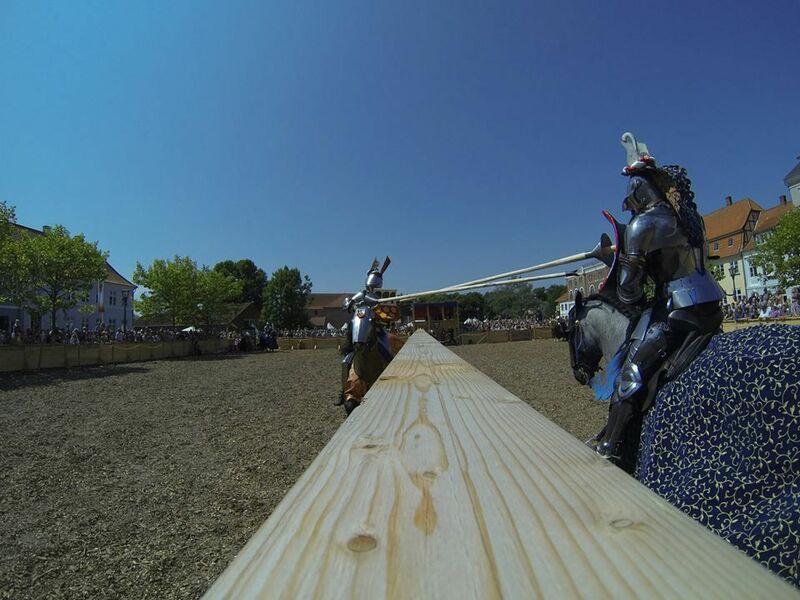 This was the second year that a jousting tournament was included as part of the event, and hopefully jousting will continue to play a part in this annual festival. The jousters who participated included the famous organizer of "The Grand Tournament of Sankt Wendel", Arne Koets, as well as several of the jousters who participated in Sankt Wendel -- Joram van Essen, Alix van Zijl, Wouter Nicolai, Andreas Wenzel -- and one other jouster, Bertus Brokamp. 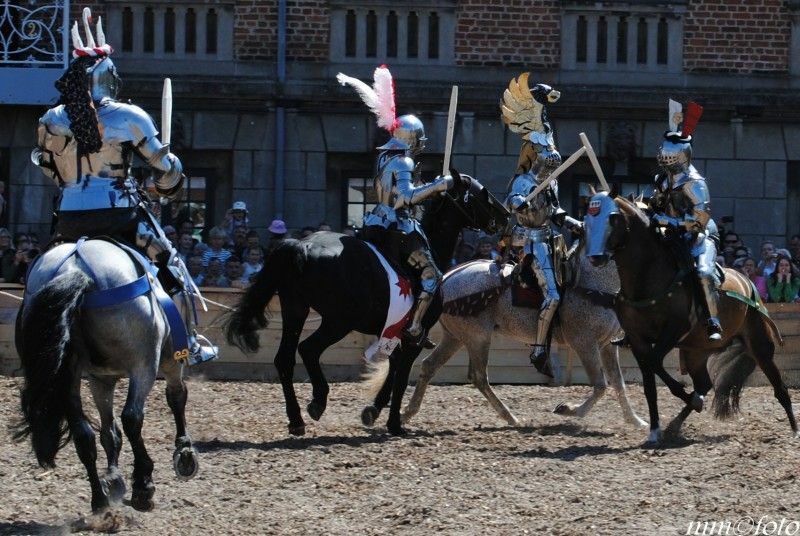 The Nyborg Slot tournament consisted of two sessions of jousting and two sessions of mounted melee, one session of each for each day. Although scores were kept and the winner of each session was announced, no overall score was kept and there was no overall champion. In keeping with this historical authenticity, all of the jousting was done with tapered solid lances with steel coronels and vamplates. The lances are made from young pine trees which naturally taper from base to tip. 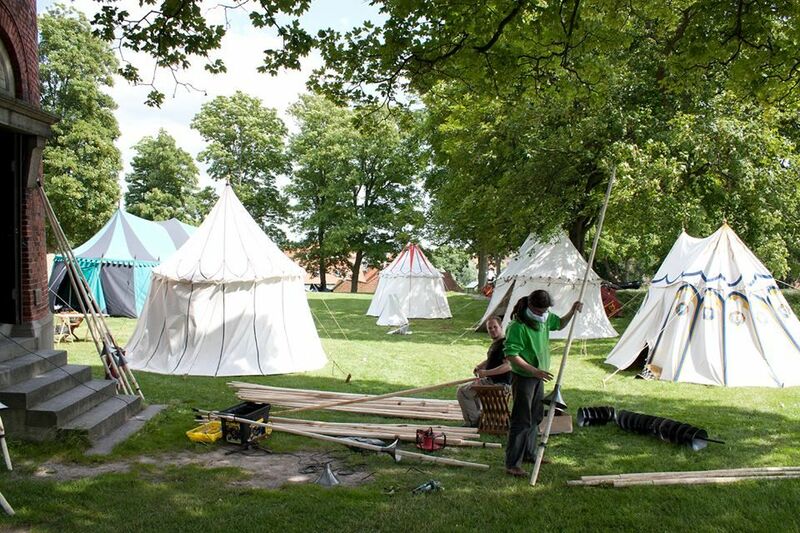 When the trees are the right height and diameter, they are cut down, the branches are removed, they are cut to the exact length needed and some minimal shaping is done, thus creating the most historically accurate solid lances according to what is currently known about 15th and 16th century jousting. "Jousting with solid lances is a lot different, for one thing, they are a lot heavier than the usual balsa tipped ones. I had to train specifically to gain the strength to handle them safely. The lances are also very differently balanced because of the sharp steel coronel at the end and the grappers and vamplates around the grip. That makes it imperative to use an arret, and that changes a lot in, for example, couching the lance and aiming. We all trained a lot in getting it right. "It was an inspiring event. The newer jousters amongst us gave very good account of themselves, showing tremendous improvement over last year and dealing with some new and hard to use equipment. The hits were hard and spectacular, the jousters were professional. The melees were hard and interesting, ridden with great skill. The atmosphere was hard working but friendly and relaxed. The event was again well organized as always, and the ground crew was plentiful and made up of long standing friends who knew their jobs well. The lances worked out great, and we were very happy to have the vamplates which showed repeated impacts. The clubs were great too, and we broke many." 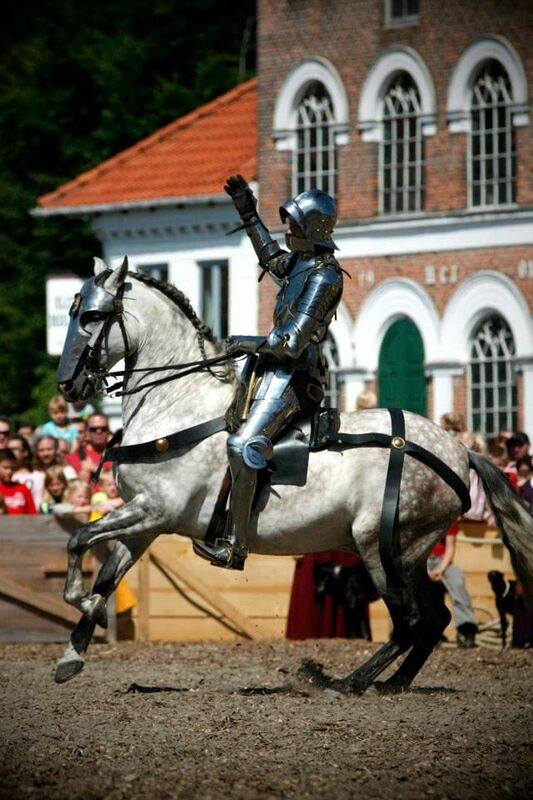 "Slot Nyborg has provided us with a magnificent opportunity to show authentic 15th century jousting. We thank them!" 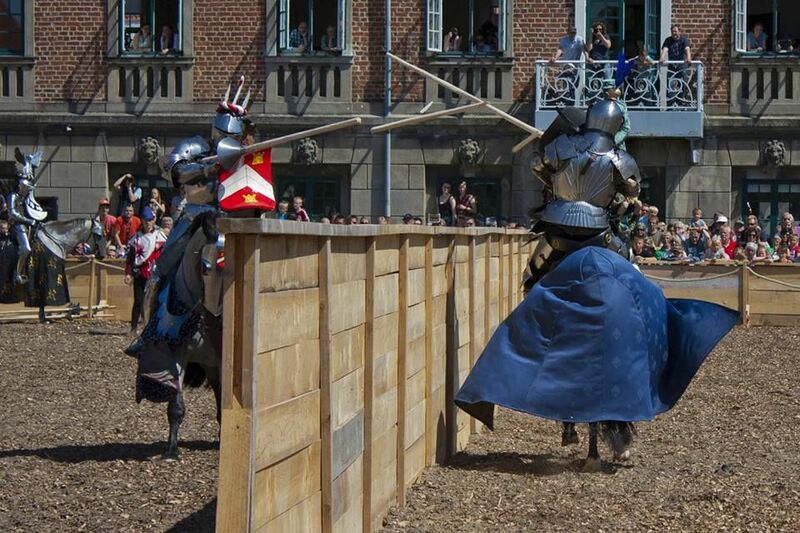 You can find out more about Stichting HEI, the jousting group that produced the tournament, on their website. You can see more pictures from the Nyborg Slot 2013 jousting tournament in the TJL Facebook page album, "Nyborg Slot 2013". 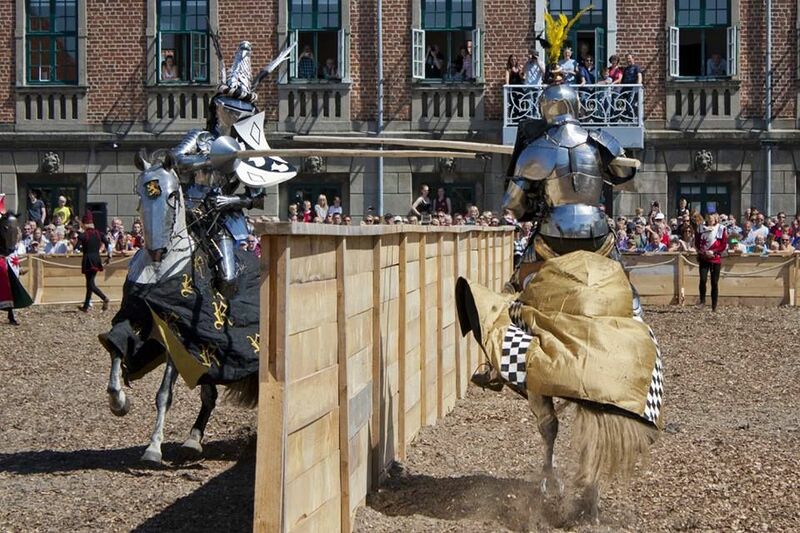 *Tiptoft rules are based on an historical set of jousting rules from a primary source. Though some gaps in the rules were filled in based on remarks from the manuscripts translated in Jousting in Medieval and Renaissance Iberia by Noel Fallows.